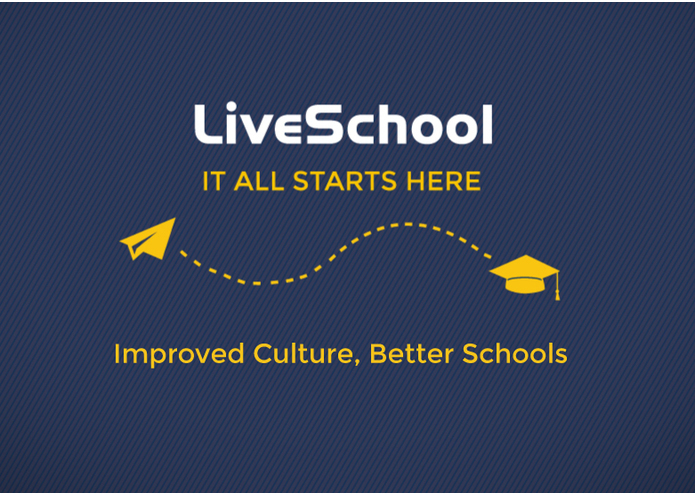 LiveSchool is the easiest way to track and improve school culture. 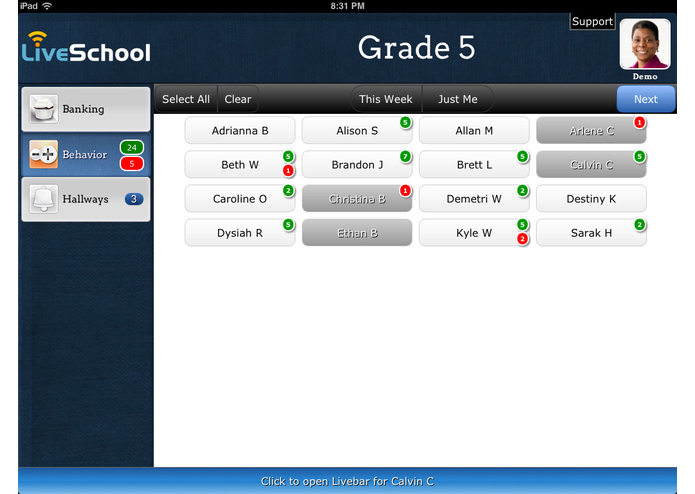 LiveSchool is a breakthrough app that helps schools improve culture by taking the paperwork out of behavior tracking and many other daily classroom management tasks. 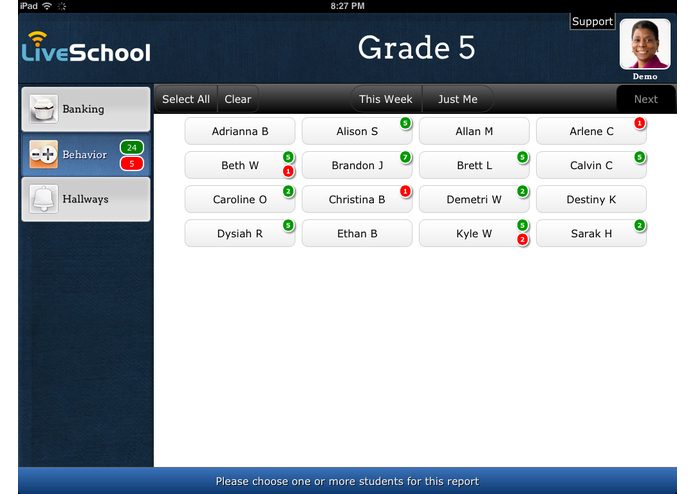 Teachers and administrators use laptops and tablets to enter student behavior data into a simple, user-friendly interface where they collaborate to track students together in real-time throughout the day. 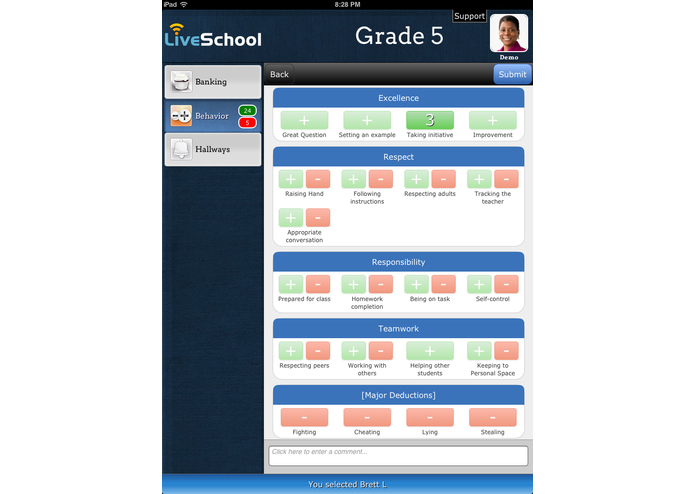 LiveSchool generates powerful school-wide analytics and trends for administrators, and is completely configurable; each school sets its own behavior rubric and rewards program. 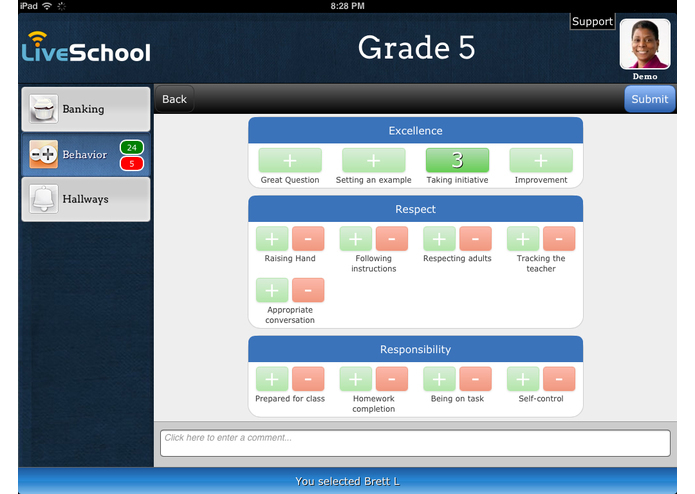 The application introduces financial literacy concepts to students by automating and improving the popular “behavior bucks” model for reinforcing positive behavior.